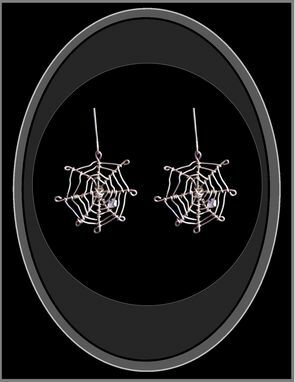 Your choice of One Necklace or One pair of earrings! Just note on the oder page which piece you would like! 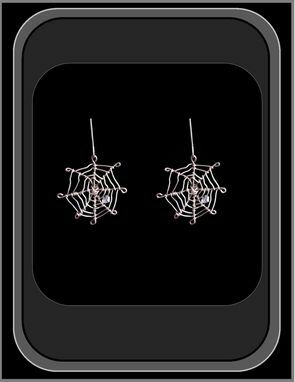 These Custom designed Spider Web Jewelry Pieces are Perfet for Spider lovers,arachnid lovers,Goth lovers, and Unique Jewelry Lovers! 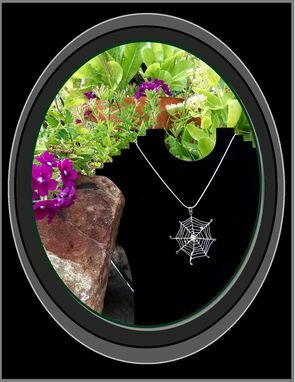 Special "One of a kind" Wearable art! 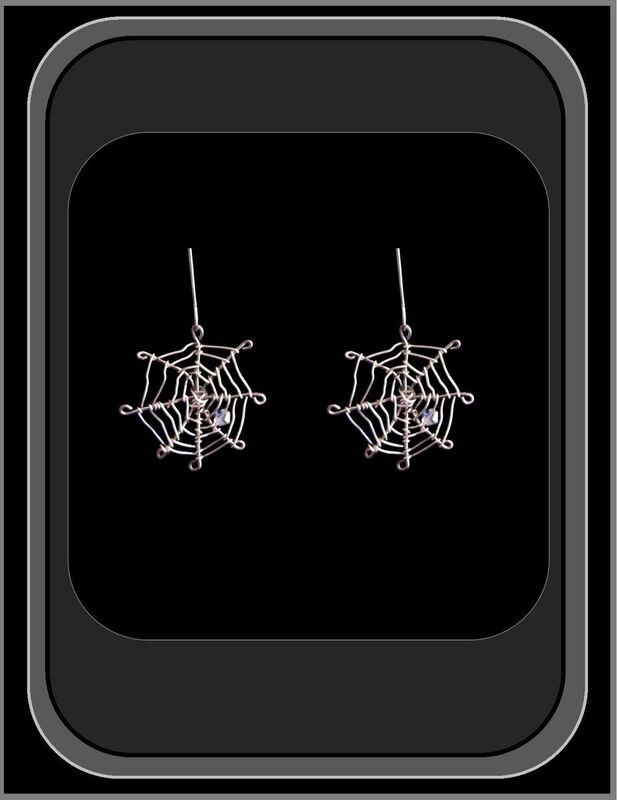 Halloween Jewelry. 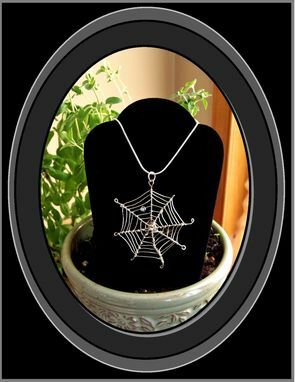 Spice up that Halloween Costume with this One of a kind Silver & crystal gems Large Spider Web Pendant Necklace! 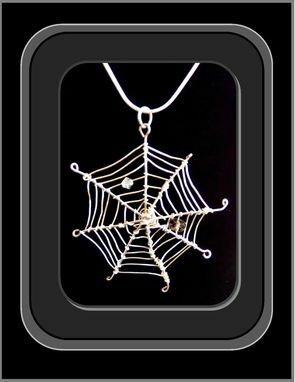 On an 18" Sterling Silver Chain!